So I will rephrase my statement. What few female drivers I saw I asked them if they were issued a truck with cameras in them and they all said yes. And I will leave it at that. Hyrnn since you are a rare commodity being a female at Roehl who somehow did not get a camera truck you can never know how it feels to have a camera less than 3 ft from your face all day and another one less than 9 feet from your private living space so you can not relate at all. Your whole inside the cab is your living space and should never have to hide behind a curtain in a clusterphobic tiny space. Oh and with microphone so until you experience this you can not relate. It's extremely easy to say oh it wouldn't make a difference. You would never know how it feels until it happens to you!! I have got to know Roehl Transport extremly, well since November! I have also researched the brand of cameras. When a fleet manager says I was looking at one of your video clips and I can hear your engine running. Now they can not hear your motor running if there is no microphone. So yes they do have a microphone in them. You have no privacy. Even if your key is turned off they stay on all the time and they do not just record when you have an accident or turn to fast. When you visit the main terminals several times and only see less than 4 female drivers amongst hundreds of males and you see drivers leaving left and right and drivers commenting that they are so glad to be done with the75,000 mile contract they make you sign and leave right after that, believe me it's not such a great company as you seem to think. You will change your mind if you work for them. I'm soooo glad to have completed my 75000 miles and be done with them. Always asking you after 4or 5 days past why did you use your brakes always asking you to explain your every move or decision after that much time passes no matter how clean of a driving record you have and no matter if you have no incidents or accidents. It gets old very quick. Good luck to anyone you that want to try it with them. Just putting all info out there so you can really decide before signing their contract. New Truck Stop in Northlake, IL. Well there's no truck stops within a several mile radius in this area. So no you Usally do not pay for parking at truckstops. Because there were no there in the area where I delivered to and was out of drive time my company paid for my parking for my 10 hour break. I Start school in April so I am trying to learn the ins and outs. I assume it is not the norm to pay to park at a truckstop. What makes this one different, and who pays, driver or company? Hey drivers there's a new truckstop in Northlake, IL. It's called AF Truck Center. At the intersection of I-294 and 300 West North Street. Extremely safe all fenced in, easy access in and out. Beautifully designed nice lot about 125 spaces easy to get into. Brand new has nice tv room and a great game room. Subway inside. Parking the first 3 hours are free, 24 hours is $20 bucks. One way in and one way out through the pay gate. Great place, check it out. I got there at 9pm and still had plenty of spaces its that new so it doesn't get packed yet. Drivers don't know about it yet. Chicken monster, Take a deep breathe. Download the Truckers Path app into your phone . It will be your best friend for life. Touch on the top right corner and a side screen will slide out. Touch on trip planner click on your location button and the destination button. Type in the address your going to and hit the route button. It will track your route for you and compare the route with your routing instructions on your pre plan that you get. The app also shows you where all the truck is stops are that you can pull a semi into at the different exits. It also shows you where the weigh stations and the rest areas are at along your whole route. If you click on a bubble of a truck stop it will calculate how many miles it is from where your located.. It works so fabulous. Saves you alot of trip planning time. When you click on the truckstop bubble then click on reviews to see what others say about the place not all comments will be true. Then zoom in and click on the little globe sign in the upper right corner for satellite. View to see the whole layout of the truck stop. I also use satellite. To see where the drivers entrance is to the places that I'm delivering to.. Hope this info helps you. The truckers Path app is a life saver for sure. Good luck and God bless you! . Well Robert, I keep apples handy to snack on while driving and lots of ice cold bottled spring water. I found a slim line cooler to keep beside my seat and got a small square shaped container and used wide stick on velcro tape from hobby lobby to put on the top of the cooler and the bottom of my container and I stick the two together. Before I start my next preplan I put a couple of apples in it and some cheese and peanut butter crackers and other healthy snacks in it so that if I get hungry I can reach and grab something with out disturbing my driving.. It works extremely well. As a lady I wore a size 16 when I stared im now down to a size 12 and feel great.. I start my day about 4am with a balanced breakfast like a sausage, egg and cheese corrsaint or a biscuit then fruit through out the day for snacks even cups of grapes that some truck stops sell. I always make sure that I eat a hot well balanced supper. That eating format works great. I rarely eat any junk food for snacks at all. You can find a slim line cooler that you can put right beside your seat at a leg high. Level so easy to reach I. To access water bottles chilling. I also carry Kool aid pouches. And have a soda about once aday. For a xaffine pick up because I do not drink coffee. Just some ideas for you to work with but it works great for me. I have been driving for 5 years in the oil field so from bad sleep and eating what I could because I was running mad hours.... I have gained like 75 pounds so I weigh around 300 pounds and that's not good. Now I am running for a regional /OTR company so I get sleep at night or day. I need help or advice on what I should keep in truck to eat and snack on. I do not have a refrigerator or cooler yet so it might make things harder.... But any advice is grateful and appreciated. I just don't know what is good foods and bad but I know candy and fast food is bad stuff and I seldom drink coffee but I do drink one or 2 soda a day. As a lady driver I went through 2 years researching to find what I thought to be the right company to start with but turned out to be wrong. I had several pre hire consultations and read all pre hire requirements and read the pre hire contract agreement with Roehl Transport and at no time and at in no pre hire contract does it ever say anything about. Cameras ever used within the company in certain trucks. So beware of non disclosure before signing the pre hire contract letter to drive 75,000 miles for them. Especially directed to lady drivers. BEWARE to all lady drivers looking to start at Roehl Transport!!! !! They do not disclose that all females who sign their pre hire agreement to drive 75,000 miles for them if hired will be issued trucks with 3 cameras in them and a microphone One facing outward which is no big deal for law suit purposes involving crazy drivers. But. The other 2 and the microphone is inside of the cab. One is less than 3 feet from the drivers face, facing them and the other one completely shows every inch of your private sleeping area and the microphone records anything you say even your personal phone calls to your family members. If the lights are on to each piece even of the unit they are recording. They stay on even if your key is turned off. And if you have your optimized idle set they are on and recording 24 hours 7 days a week. The company tells you no they only record if you hit a bump to trigger them or if you turn. It's false they record every minute of every day. The men are not issued trucks with cameras in them. What men that I have questioned personally myself have said no they were not issued trucks with cameras and what few said that the truck had a camera in it said they refused to take the truck until it was taken out! So ladies please do not tolerate this gender treatment. I have gone through he'll with this company due to their non disclosure about not getting,long ladies that you would be required to be under surveillance before you sign their contract with the company to drive 75,000 miles for the company. That is not right to not have full disclosure before signing their commitment agreement with the company!!! !! Solo lady trucker here, willing to help. Hi Ahmalia, I. 59 years old completed 23 years in A career in Law Enforcement. It almost killed me I had to learn to walk and talk again amongst alot of other struggles. It's taken me 3 years to regain a fairly normal life again. Nothing is the same since it happened. My memory, my thinking, my motorskills, my strength, and more. I'm determined not to be labeled disabled. I knew that I had to change careers so I attended CDL school, for 10 weeks at a tech college near me. I was blessed that all grants that I applied for paid for every penny of the $1650 costs for a great 10 week course. 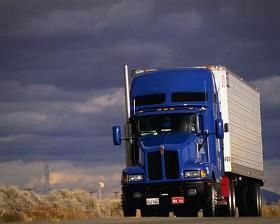 I researched trucking companies for 2 years while recuperating. And decided to go with Roehl. I attended orientation at the terminal in Conley, Ga. I got issued my truck on Dec 16th, 2015. Make sure you get everything they offer in writing!!! They promised me that I would get between 2100 -2600 miles per week but most weeks I'm lucky if I get 1600. That amounts to nothing to live on. If they won't put it in writing do not trust the.. I was the only lady., in my orientation class of 12 males and I was issued a truck with three cameras in it. And yes you are damn straight I stood my ground on this issue!!!!!! You can do and accomplish anything that you set your mind to. DO NOT LET ANYONE. WALK ON YOU!!! Once you give them an inch they will take a mile. I also was told that I would get 3 home days after 11 days out but if I stayed out 18 days I would get 4 days hometime. Well that's not happening either!!!!!!! So beware and get everything in writing. I'm documenting everything that they wrong me on until they fulfill their commitment to ME. Hi RV, I have worked on cars and trucks all my life so knowing all the parts came easy to me. The 2 ladies in our class of 25 soared ahead of the men in all aspects. We always came early to school and practice our pre trips 20 minutes before class on our school days. To help her at home I. Lend her one of my grandsons die cast collectors rigs that he purchased from the love truck stops that have every detail on them so she could practice her pre trips at home. It really helped her to master it. At Roehl when. They test drive you out as long as you can briefly name some of the parts and can describe what you do on a brake leak down test they know that you really know what you are talking about. I wish you the best of luck. If I can do it, YOU CAN DO IT!!!!! I just got my own truck last week and told them I did not want to go home until Christmas. I got home late Wednesday night. I spent today stocking and decorating my truck inside just the way I want it. Bought some inverters to install a frige, microwave, and HD tv. I bought an HD antenna from Whal Antenna for $59 and I run a channel scan and pick up about 27 Channels. I hang it in my passenger Window with tape and it works fabulous each time. I wish you nothing but the best. There were only 2 females in my Tech college CDL school and we both smoked all the men in the class. I know you can do it!!! God Bless You!! Bad Dog. Now that I know you had prior driving experience I will tell you when I went to orientation at Conley, Ga. Atlanta terminal. There was a guy that was about 63 about 3 years older than me and he had prior experience but had not drove in 30 years and they had him stay at the facility and do his drug tests and physical and sent him out on local runs for about 3 days with a local driver to get familiar with the paperwork and then he did his test drive and backing exercise and then he was issued his own new truck and on his way back home with a load his truck to stock it up the way he wants it and started solo. If there is ever any unsafe driving conditions they want you to park in a safe place and call your fleet manager and let them know. Their main concern is that you are parked in a safe place first. They never bully or force their drivers. Excellent human resource and support team all the way. I was extremely shocked to see cameras in my truck because, it is not company policy and is not in but a few trucks. At no time was I made aware of this throughout my entire process and I stood my ground and let them know quickly that I signed no agreement or acknowledgement about being made aware that I could end up with a truck with cameras. Evidently the driver whom was assigned the truck before me was a very troubled driver so they installed them in his truck. The message board verified that. So I stood my ground and I will be getting another truck. Hang in there and stand up for yourself! They are a great company! Good luck Phillip M. Also with Roehl. Bad Bob, I started orientation on Oct. 26th. First week is classroom training, Oh the first day was the drug test both urine and hair follicle. They do that first so by the 2nd day some new hires already disappear. Second week is practice backing, docking, driving and paperwork. Then end of the second week you find out if your hired. Each week you are paid $300. Of course it takes two weeks to get your first check which is about $255 after taxes. So two paychecks are $300. If you make it through the second week, you are then assigned a driver trainer to go out on the road with for 10 -14 days. You live in their truck with them the whole time. There is absolutely. No team driving. You drive most of the time everyday. While your trainer is in the passenger seat observing and encouraging you on driving. If after 14 days you do not feel you have everything down that you need to know to go on your own truck please do not hesitate to ask for a few more days on the road with a trainer. When you start going on the road with a trainer you get paid $90 a day. They don't tell you but some Roehl payrolls delay payment to start for 10 days. All new hires need to know this especially if you have a family reliein on money coming in. When your trainer tells your fleet manager that you are ready for your own truck it will happen. You get assigned a very nice tractor. I got mine last week and it was still new. A 2015 Frieghtliner Cascadia. Not even a year old. They do not issue no worn down equipment. The company always focus on safety at all times. They treat all of the employees like family. They have very nice terminals you can pull into anytime you are near one to get maintenance or a nice hot shower, some even have a food service for the drivers and each one has a nice free laundry room and tv lounge to use and relax in. When you are assigned your trainer you are also assigned your own Fleet Manager. They check on you every other day to see how your being treated and to encourage you. When you get your own truck the following Thursday paycheck will include the remaining days out with your trainer at $90 and your 1st $200 part of your longevity bonus and mileage for all loads you completed that first week. You can not go wrong in picking Roehl for your first company to start with. I researched companies alot trying to choose the right one and Roehl was the best of all of them. Good luck and I wish you the very best. Since posting my topic on cameras in cab. I have talked to several company drivers here at the terminal. They do not have cameras in their trucks and the few that said their truck came with one said they told them they did not want them in their trucks and they were taken out right away. So it is not company policy and it is not about the company phasing them in. So let's be clear on those two issues. I stand up for myself and will follow the chain of command. I will not be treated differently than all other drivers. Rebelliousvamp I feel the same way!!!! If it's not in all the trucks and only in a few its discrimination against a few drivers. I have an over 35 year clean driving record not even a warning. So I'm doing something right. It's one thing if it was part of the hiring agreement or I was advised upfront that there were cameras in all trucks but at no time was cameras ever brought up. To some of you it may not seem like a big deal but I have also been told they have mics in them to. In the cameras that is. I will follow the chain of command somemore tomorrow. If it could not be taken out then the man who issues the truck would not have turned to me and said I can take it right out for you just call your fleet manager and let her know that you don't want it in here. Know one just says that so freely if it hasn't been done numerous times already. I really need some advice on how to handle this topic: I have been driving approximately a total of 6700 miles with no problem with 2 different driver trainers. Their trucks had no cameras in them at all. Several company trucks also do not have a camera in them either. I get issued a 2015 Frieghtliner this afternoon and it has a camera in that is on all of the time not just while driving. I am extremely uncomfortable about this. I'am a lady and know that anyone can see me in my cab anytime they want to. I called people and made it very clear I either want it taken out or give me another truck!!!!!!! At no time in my pre hire letter or in my contract letter that I had to sign stating I would have to drive 75,000 miles for them or pay back $3000 cost for their safety training. At no time in orientation a 4 week process cameras in trucks were never mentioned and never mentioned that we would have to drive under these circumstances. At no time talking with the recruiter it was never ever mentioned. In the company profile home pages cameras are never mentioned at all. Can you please give me advice on how to handle this issue. I have a right to my privacy!!!! The company is Roehl. I am highly p*ssed off because only a few trucks out of 2100 drivers have them in their trucks. Sounds like discrimination and extremely unfair. I will appreciate any advice. Thank you.